The author of a review article on diabetes has been forced to retract the paper after it emerged that he failed to properly credit some of the text — an omission we generally associate with the word plagiarism. The article, “Colonic flora, probiotics, obesity and diabetes,” was written by Paul Marik, of Eastern Virginia Medical School, and appeared in July 2012 in Frontiers in Endocrinology. It has been cited once, according to Thomson Scientific’s Web of Knowledge. Yesterday, we wrote about the retraction of a paper that ended up published despite the fact that peer reviewers had recommended rejecting it. Today, we have the (short) tale of a paper retracted because the publisher posted it a second time while they were buying acquiring the journal where it appeared. A group of researchers at the University of Minnesota have retracted a paper in Diabetes for image problems, but exactly what happened is still under investigation. 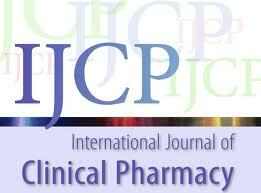 The Journal of Diabetes and Metabolic Disorders has retracted a 2012 study by a group of Iranian researchers. The reason: the authors had published the paper three years earlier, in a different journal. A group of neuroscientists has retracted a paper published earlier this last year in Diabetes after realizing that a figure that took up a whole page of the paper may not have been quite right. Milena Penkowa, the former University of Copenhagen scientist found by her university to have embezzled grant funds and to have possibly committed misconduct in 15 papers, has another retraction. A group of researchers from Texas and Zimbabwe has lost a paper after they tried publishing it twice — first in the European Journal of Clinical Pharmacology, and then in the International Journal of Clinical Pharmacy. Family Practice has retracted a 2009 review article on diabetes whose author had published a similar — in spots identical — paper two years earlier in another journal. We think the notice is nine-tenths solid, but there’s a part at the end that raises an important question about how much, or little, editors should do to accommodate the embarrassments of their authors.